The Vail King of the Mountain tourney began 43 years ago and includes a junior’s clinic, juniors and adult competitions, co-ed divisions, seniors, masters and special Father’s Day divisions. This will be May-Treanor’s only appearance in the Rocky Mountain region this year. Misty May Treanor is a professional beach volleyball player. She has won more tournaments than any other female player with 103 career wins. Misty May Treanor and teammate Kerri Walsh were the gold medalists in beach volleyball at the 2004, 2008 and 2012 Summer Olympics. They have been called “the greatest beach volleyball team of all time”. Playing Field Promotions is a booking agent for motivational sports speakers and celebrities. 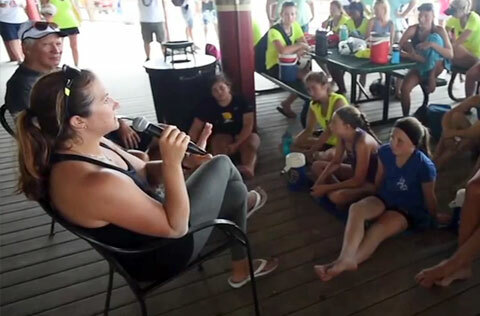 If you would like to book pro athletes like Misty May Treanor for a speaking engagement, personal appearance or special event, you can request Misty May Treanor’s agent and speaker information from PFP Sports & Celebrity Talent or call 800.966.1380.